How Far is Oasis Nest? A well-balanced apartment which is creatively designed for better existence which you always dreamed to live in is at Oasis Nest. The apartment assures of delivering charm natural surrounding that fill your existence into freshness and joy for better living. The project also boost with dynamic amenities that fulfill all your requirements. 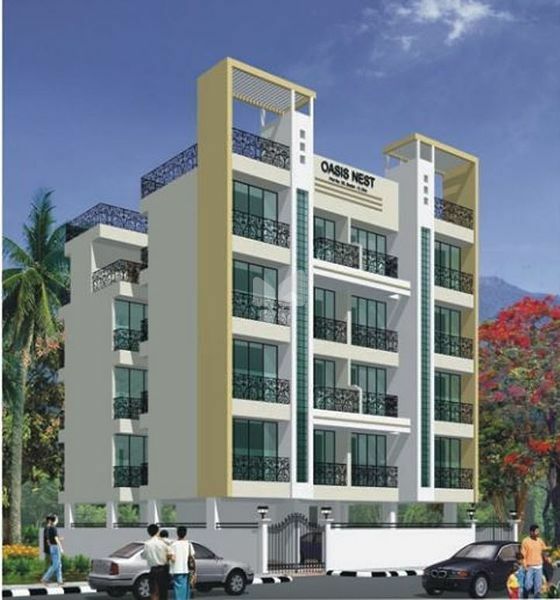 The apartment has elegantly designed infrastructure which is sure of making an urbane touch with world class amenities. The project promises to deliver beyond expectation apartment for better living. The apartment is placed in a perfect location which is free from pollution and near to nature for peaceful and healthy existence. The luxurious apartments with eye- catching infrastructure thoroughly deliver exceptional master piece residences in which to exist. Clear title CIDCO transfer plot. G 4 storied pure residential building. 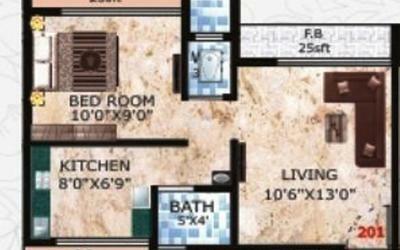 Exclusive 1BHK flats. Elegant architectural elevation. 2' x 2' designer vitrified flooring in all rooms. 2.25' wide granite platform in kitchen. A.C. point provided in master bedroom. Powder coated windows with tinted glass and marble sill. Putty finish for all walls. Distemper paint for all rooms. 8' glazed tiles in toilet and 4' glazed tiles in kitchen. Concealed wiring with ample electrical points and modular switches. Teakwood laminates finish for entrance door. Commercial laminate finish flush doors in other rooms. Acrylic paints for exteriors. Decorative entrance looby. Lift of reputed make. Attractive compound wall with decorative M. S. entrance gate. The team of Oasis Lifestyle has more than twenty years of experience, as an industry leading retail commercial real estate company. We pride ourselves as a strong and committed team of professionals who attend to every detail in all projects - so our clients do not have to. We deliver quality work without any compromises.